A beautiful day at Walakpa! We went to Walakpa today. I’d heard that Nunavak might be running too hard to cross, so we were sort of preparing for having to ride around on the tundra, which would be time-consuming and bone-rattling. When we got there, we were able to find a couple of ways across, so no worries. We made good progress on removing the sod & an underlying level of disturbed soil. Aside from the fact that it contains random fragments of bone, charcoal, rocks, lumps of clay, etc, the fact that it is on top of Visqueen in a lot of places is a strong hint. The last bits of the overhang are gone. One fell, and the rest we cut off where it was cracking. It looks like the ground squirrels had a tunnel where the crack was, so there really wasn’t much holding it. Some of what came off looked like a sod wall, but it had part of a plastic eyeglasses frame in it, so it can’t be very old, or associated with the house. We are almost at the point where we should be able to excavate normally. 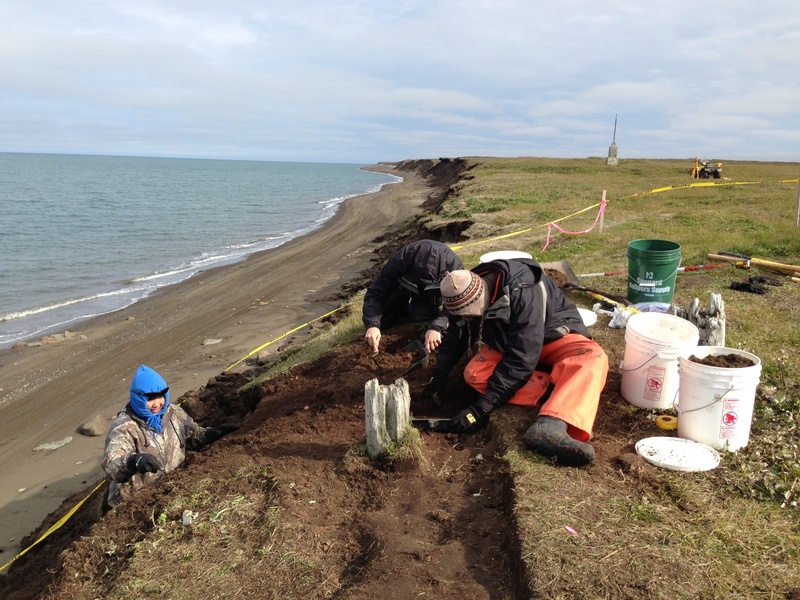 Posted on August 7, 2013 by Anne JensenPosted in Archaeology, Arctic, fieldTagged Alaska, Archaeology, Arctic, crew, field, Walakpa. I am moving to Barrow the 23 rd of this month, and would be interested in volunteering, is that an option?